The purpose of the study was to assess whether it is possible to reduce the oxidative damage using antioxidant agents combined with hormone replacement therapy after menopause. In this prospective experimental study, 50 mature female Wistar albino rats weighing 270–310 g were used. Rats were divided into the following six groups: (1) Ovx group (n = 7): the animals underwent bilateral ovariectomy. No drug was administered following bilateral ovariectomy. (2) Ovx + E 2 group (n = 7): bilateral ovariectomy + 17β-estradiol (100 μg/kg/day); (3) Ovx + E 2 + MT5 group (n = 7): bilateral ovariectomy + 17β-estradiol (100 μg/kg/day) + melatonin (5 mg/kg/day); (4) Ovx + E 2 + MT20 group (n = 7): bilateral ovariectomy + 17β-estradiol (100 μg/kg/day) + melatonin (20 mg/kg/day); (5) Ovx + E 2 + Dxp250 group (n = 7): bilateral ovariectomy + 17β-estradiol (100 μg/kg/day) + dexpanthenol (250 mg/kg/day); (6) Ovx + E 2 + Dxp500 group (n = 7): bilateral ovariectomy + 17β-estradiol (100 μg/kg/day) + dexpanthenol (500 mg/kg/day), and the activity of these antioxidative enzymes and oxidative stress products were measured. Enzymatic activity levels of catalase (CAT), superoxide dismutase (SOD), glutathione peroxidase(GSH-Px), and glutathione reductase and levels of free radicals (malondialdehyde (MDA) and nitric oxide) were both analyzed. We observed an increase in the level of GSH activity, but no significant differences in levels of CAT, SOD, and GSH-Px enzymatic activity and in levels of free radical MDA following 17β-estradiol or additional antioxidant treatment (melatonin or dexpanthenol). 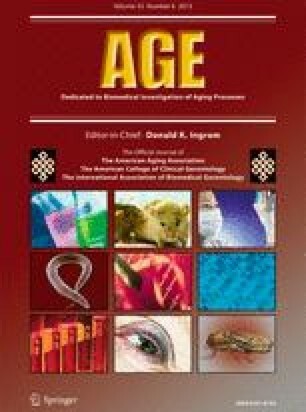 Despite the present study indicating that the addition of melatonin and dexpanthenol into the hormone replacement therapy regimen may contribute to the antioxidant effect of estrogen, the existence of limited data in this field indicates that further studies are warranted.